When online poker exploded following the Poker Boom, the market for quality poker training soon followed. Over the years, many poker sites have come and gone but a few have hung around or risen from the ashes. We’ve taken a look at many of the top sites for poker training and below present you with the Top 5 online poker training sites. In February 2013, Ivey Poker purchased Leggo Poker and announced it would rebrand the site as Ivey League. Over the next few months, the site was revamped and new coaches hired before launching what has become one of the premier online poker training sites in the world. Ivey League features over 30 coaches ranging from cash game superstars to all-time greats in poker. Ten-time WSOP bracelet winner Phil Ivey headlines the coaching team, a team that includes Patrik Antonius, Jennifer Harman, Griffin Benger, Andrew Lichtenberger, Cole South and Aaron Jones. Ivey League doesn’t rely solely on “big names” to prop up their training site. Many well-known internet grinders are part of the team, including Dan “gorgheadlow” Flower, Chris “Apohteosis” Kruk, Brian “flawless_victory” Roberts, David “omgclaydol” Yan and Paul “Internet” Otto. Ivey League offers three levels of subscription. Their undergraduate tier allows players to access basic videos and the Ivey League forums. Bachelor’s subscribers can access videos geared towards micro and lower limit players. Masters subscribers get the total package including access to videos geared towards middle and high stakes poker players. Ivey League is heavily focused on NL Hold’em and Omaha poker but has been making an effort in the last few months towards expanding into mixed games. Over time, this should prove a valuable resource in all games. The primary form of coaching available is video coaching where the pros pick a series of topics and shoot video. You can expect five to seven new videos each week from coaches. Undergraduate subscriptions are free but are limited. Bachelor subscriptions are great for beginning to intermediate players and start at $9 per month or $70 per year. Those wanting the complete experience should sign up for Master tier. It is $75 per month or $500 annually. 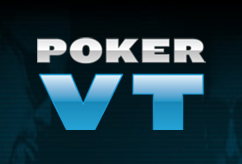 Poker VT prides itself as the only site where you can train virtually with their pros. In addition, Poker VT has the most recognizable stable of poker coaches in the industry. All-Time Money Leader Daniel Negreanu is their feature pro and is easily the face of the site. Other coaches featured on the site include Brian Rast, Jon “PearlJammer” Turner, Jason Somerville, Adam Junglen and Bryan Devonshire. Negreanu is easily the most popular of these pros and his videos breaking down literally hundreds of various poker scenarios. He even breaks down his famous “Small Ball” poker strategy, one that has made him a poker champion. While Poker VT’s primary focus is online poker, you will find extensive training on live poker scenarios as well. Those seeking training in mixed games should also check out Poker VT as some of the games top mixed game players are on their staff. At present, Poker VT only has a monthly subscription option at $29.99 a month. Regardless of your skill level, there’s something for you at CardRunners. In addition, CardRunners features material on most forms of poker. With the rise of mixed games in recent years, it is imperative to select a site that offers training in areas outside of Hold’em and Omaha. CardRunners offers instruction on both cash games and tournaments from some of the most successful pros in the world. In addition to full ring-game training, you will also find training on specialty games such as heads-up and six-max. At least nine videos are released each week as well as a discussion thread hosted by the instructor. Subscriptions to the site range from $30 monthly to $360 annually. If you’re an online tournament poker specialist, then you should check out Tournament Poker Edge. TPE is one of the only poker training sites that focus exclusively on tournament poker. Headlined by Casey “biddogpckt5s” Jarzabek, TPE features a stable of pros that rivals any other major training site. Some of the pros with videos on the site include WSOP bracelet winners Mike Leah and Justin Pechie, as well as tournament pros Mike Sowers, Andy Brokos, Daryl Jace, Ben Warrington and Lee Childs. The site boasts over 800 MTT training videos and their TPE University will give players step-by-step instructions on mastering tournaments. Other features of the site include extensive forums, blogs from top coaches, poker podcasts and comprehensive training articles. A TPE subscription starts at $29.95 a month with options for a quarterly subscription at $84.95 or annually at $299.95. TPE is bitcoin friendly. One of the more comprehensive online poker sites in the industry, Deuces Cracked prides itself in being able to improve poker players of all skill levels. With over 1,200 videos covering both cash games and tournaments, odds are there’s something on the site to improve your game. Deuces Cracked features dozens of the games top professionals from both the live and online poker arenas. Some of the pros on the Deuces Cracked roster include Jay Rosenkrantz, Emil “whitelime” Patel, Dani “Ansky” Stein, and three-time WSOP bracelet winner Vanessa Selbst. Several features of the site are available for free. Their famous poker strategy forums and blogs from various coaches are available to users free of charge. The DeucePlays with Bart Hanson podcast is also available for free. Subscriptions are available starting at $29 monthly, $147.90 for six-months or $278.40 annually.